Sussex Royal Watch Goes Live: Meghan and Harry Are Now on the 'Gram! 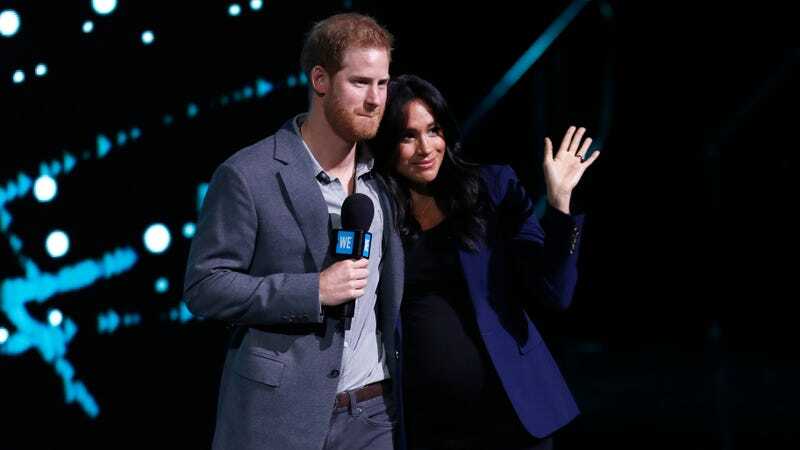 Prince Harry, Duke of Sussex and Meghan, Duchess of Sussex speak on stage during WE Day UK 2019 on March 06, 2019 in London, England. Yeah, yeah, we know. You don’t understand all this fascination with Meghan Markle marrying into the British royal family, and she’s biracial and therefore somehow not worthy of The Root’s blackety-black attention, and elitism, and colonialism, and...You can go now and let people enjoy things, like seeing whether or not her first child is a redhead. I’m sure you have better things to do with your day, anyway (or so you say). Seriously, go. There’s nothing for you to see here, and you’re no fun, anyway. For the rest of you who enjoy the occasional royal watch, the Duke and Duchess of Sussex have just made it that much easier. Ahead of the birth of their firstborn, the royal couple has gone live with their own Instagram page, so you can now follow along with all their royal appearances—and most important, be one of the first to know when the newest member of the royal family arrives, sometime in the next few weeks (maybe even the next few days). It may not seem an event worth noting, until you consider that Meghan hasn’t had a social media presence since well in advance of her marriage, having dissolved her lifestyle site, The Tig, along with all of her social media handles. Additionally, as we’ve previously reported, Meghan, along with sister-in-law Kate Middleton, has been subject to ongoing and escalating online harassment; so much so that just last month, the royal family issued new social media guidelines for its followers. With that in mind, an Instagram account from Meghan and Harry may seem a bold move; but we’d call it a savvy one. No better way to get ahead of the news than to publish it yourself, and while we don’t expect to be seeing #fitspo and bikini shots from the duo, it is an excellent way to drop that upcoming birth announcement, as well as a refreshingly modern update on the royal family’s traditional policy of staying off social media. Besides, they already know we’ll be watching. It&apos;s Official: Meghan and Harry Have a Royal Baby on the Way!